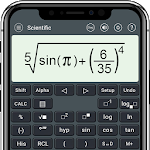 HiEdu Scientific Calculator : Fx-570vn Plus : A simple yet powerful calculator that includes standard, scientific, and programmer modes, as well as a unit converter, Math, Physics and Chemistry Formulas, graph and solve the equations . 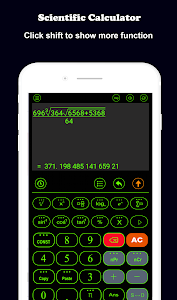 It's the perfect tool to add up a bill, convert measurements in a recipe or other project and It is a very useful tool for education help complete complex math, algebra, or geometry problems. 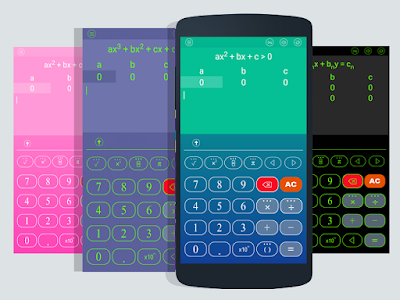 • Natural Display makes it possible to input and display fractions and certain functions (log, x2, x3, x^, ), ", x−1, 10^, e^ , d/dx, Σ, Abs ...) just as they are written in your textbook. • Undo when you miss a mistake. 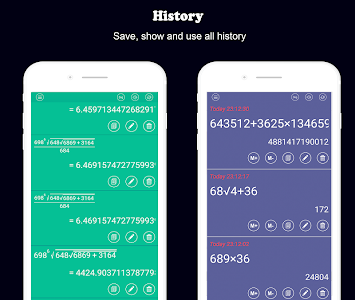 • Save history, Select a calculation in list history and edit it. 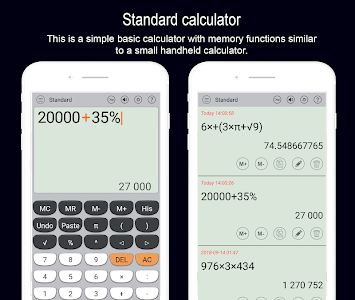 • Create favorite calculations that make calculations faster. 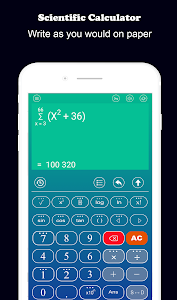 • This app has 1000+ math formula and more to come. 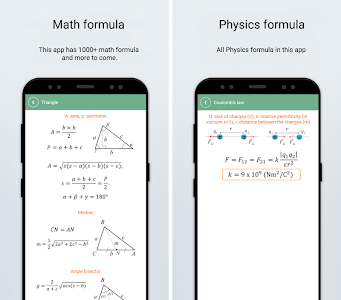 • Now no need to make paper notes to remember mathematics formulas just have this app put all the formulas on your favourite phones. 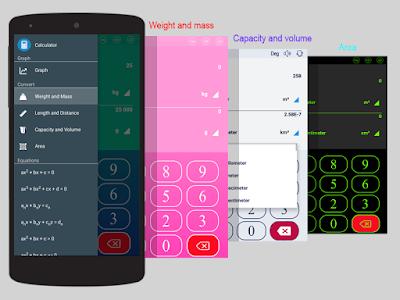 • you'll find formulas very simply explained in app with necessary figures will help you to understand very easily. • Allows to discover chemical reactions and to solve the chemical equations with one and several unknown variables. • Can convert numbers between different number bases (2/8/10/16). 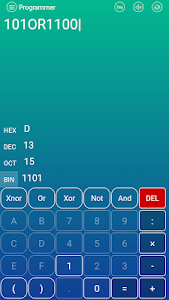 • Display shows numbers in binary, hexadecimal, octal and decimal. 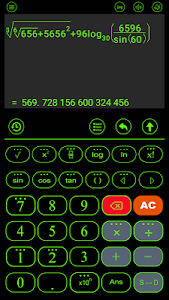 • Input can be in binary, hexadecimal, octal or decimal. 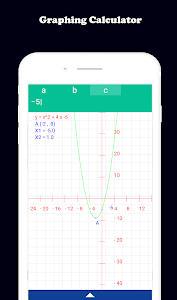 • Easily graph functions, solve equations, find special points of functions. • Linear equation for degree one,quadratic equation for degree two,cubic equation for degree three, System of linear equations. 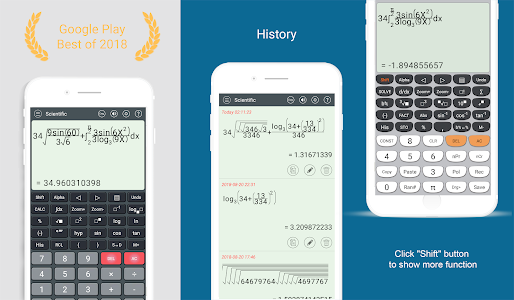 + The layout of the buttons in the this app is scientifically rigorous, which makes entering mathematical operations as simple and convenient as possible. 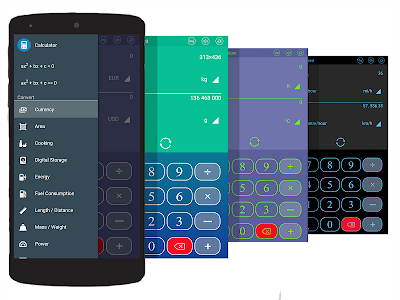 + Numeric buttons and functions in the our application are beautifully designed, clear, resistant to glare, blurry and eyestrain. + There are many beautiful themes with different styles. + Change the result value setting. 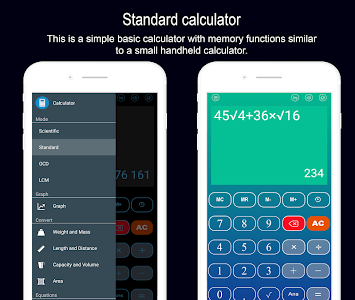 Similar to "HiEdu Scientific Calculator : Fx-570vn Plus"